"1998... I'll never forget it." Well, more like 2005 in regards to when this game first released, but you get where we're going with it. There was a time when the Resident Evil name was practically untarnished, full of conspiracy, originality, atmosphere, and downright excellent gameplay. Resident Evil 4 is no stranger to many in the gaming world, as it set the precedent in numerous areas. Over-the-shoulder camera, full precision-aiming that added strategic combat elements, quick-time events (which in their defence were used brilliantly here, unlike in countless other games or future instalments for that matter), and advanced AI that really had you on the edge of your seat. The game has seen its way to virtually every platform since conception, starting off its life as a Nintendo GameCube exclusive. 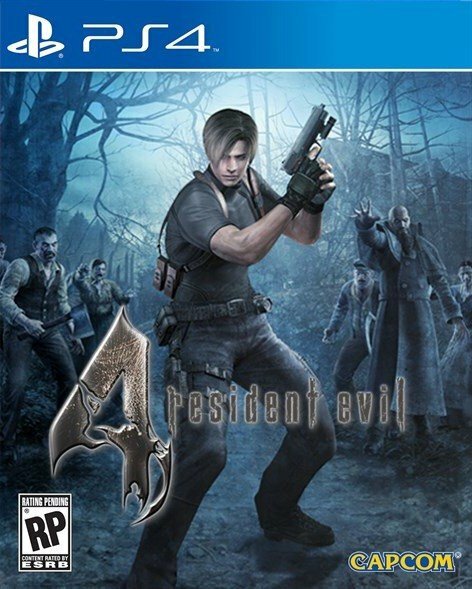 Seeing Capcom's reputation of porting – "remastering" – games this generation, it should come as no surprise that RE4 would get yet another release. That being said, though, does the title that revolutionised the industry still stand tall by today's standards? 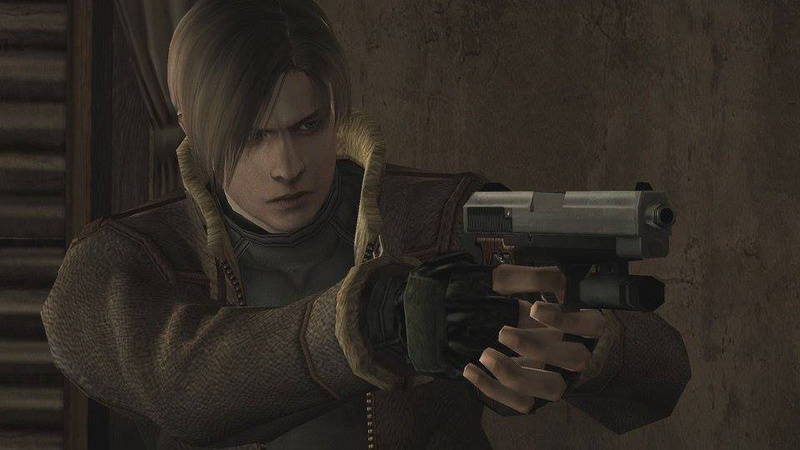 RE4 has you assume the role of Leon S. Kennedy, a former Raccoon City Police Officer (only one day on the job, see Resident Evil 2) sent to Europe to rescue the President's missing daughter. Sent alone, Leon has to investigate an area in rural Spain, where his subject's local whereabouts was spotted. Little does Leon know what awaits him. Unlike what he's experienced in Raccoon City, the people here are ruthless and cunning. Unlike brain-dead zombies, the new virus known as Las Plagas has taken control of the civilians, and they have been assembled under the rule of a cult leader. Throughout the game's 15 plus hour journey, you'll uncover the mystery that surrounds Leon. 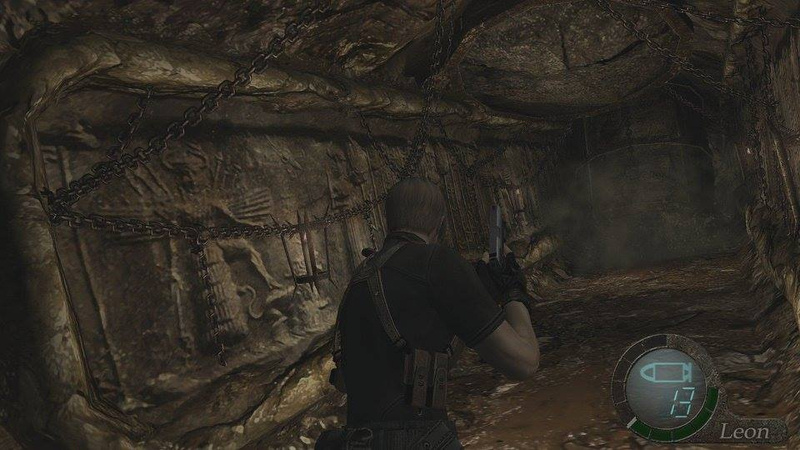 In RE4, the series saw a massive revamp from fixed camera angles and simple aiming to a brilliant over-the-shoulder camera with full-precision aiming. 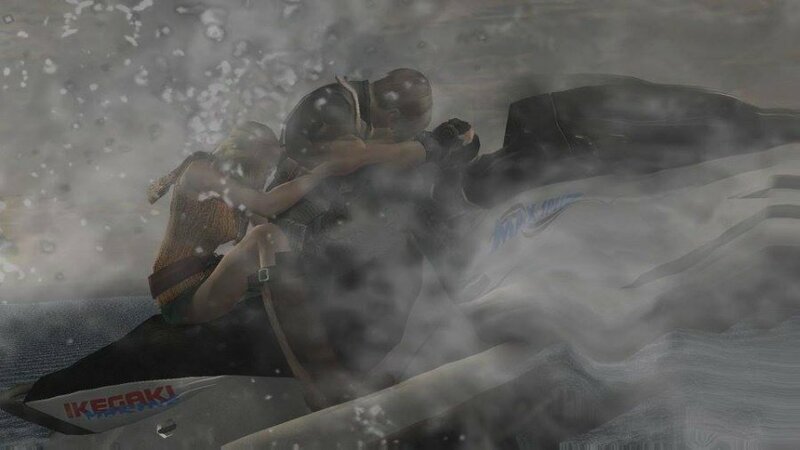 This brought players closer into the Resident Evil universe than ever before. Instead of pre-rendered environments (which always looked visually stunning), the developer rendered the environments entirely from scratch and provided much more interactivity: ladders placed against buildings could be interacted with and thrown back, boxes and crates were destructible for items, lamps and such could be shot at to ignite enemies in flames. This was all-new territory for the series. The infamous tank controls remained intact, however this was clearly the smoothest the series controlled at the time. Leon still feels nimble, has an appropriate run speed, and some seriously killer context-sensitive actions. Eleven years later and Leon still looks as badass diving out of a house's glass window, or running onto El Gigante's back and slicing away at him. Along the journey, Leon comes across a mysterious merchant who seems to always have a "selection of good things on sale, stranger" and will buy treasure found at "a high price". To this day, the Merchant is still a highly quoted character. Now for this umpteenth re-release, you're probably wondering how the game runs on the PlayStation 4. Well, similarly to how Resident Evil 5 and Resident Evil 6's re-releases were handled, RE4 has received the same 1080p 60 frames-per-second treatment. It is a port of the Ultimate HD Edition that released on PC back in 2014. This means it's running on the GameCube's visuals, with the PS2 and Wii's extra content. While some of the game's textures are beginning to show their age, the game's art direction and tech performance is as superb as it was in 2005. Even after 11 years, the game oozes the same atmospheric feeling that it did over a decade ago. Each environment is crafted masterfully, with each action piece providing numerous ways to approach them. As mentioned earlier, RE4 contains all of the bonus content that was added in the PS2 and Wii versions (except for pointer aiming controls for the Wii that truly did enhance the experience). That means that upon the game's completion, you will have the Mercenaries, Assignment Ada, and Separate Ways modes to get more RE4 fill. Mercenaries has you trying to achieve the highest score/combo in a limited time across four varied stages (one of which includes a double chainsaw enemy which is terrifying). Assignment Ada is a fun mini-campaign mode that takes roughly an hour to complete. Separate Ways, though, is a solid 4-5 hour extra campaign showing the events of what Ada was doing parallel to Leon's story, and how it all connected. This is an awesome expansion to the game's main campaign. The best part about both the main campaign and Separate Ways is that they both have New Game Plus, so replaying these with current upgrades will keep you coming back for more. There are a few gripes to mention with this re-release, however. First off, the increased framerate seems to have caused Leon's aiming shakiness to be more…well, shaky. While the jittery targeting adds realism and challenge, it just seems a tad shakier than previous iterations. Second, the Trophy set is ripped directly from the PS3 HD version, so you're only getting a measly 12 trophies and no Platinum to earn. Seriously Capcom? Lastly, the control options are a little bit odd. Resident Evil 4 is, and will forever remain, a masterpiece. It says a lot when you can pop in a game over a decade old, and still get as engrossed into everything it has to offer like it was the first time ever experiencing it. If you have somehow still never played this game, put down whatever game(s) you are playing and make room for this survival horror smash. And if you've played it countless times on several platforms, it's still worth forking over a couple of bucks to revisit this legendary game. No platinum trophy, laaaaazy. I'll pass. Excellent game back in the day but no rush to revisit. @LieutenantFatman Fairly certain the ps3 version didn't either. Like most Nintendo exclusives that make it to the Playstation it's a 10/10. @stevie85 True, very odd decision. @LieutenantFatman Well a smart decision by Capcom is a rare thing to be honest. One of the finest non-rpg games of all time. I played this on the Wii however the first time and I got so used to the motion controls that I just can't play the game any other way. I played this last year and it has not aged well. Just played on PS3, really enjoyable. Wish there was something new to find here, no reason to buy again. Great game but already played it and finished it on the Wii. Skipping a great game because of f***ing trophies...what the hell? @Tsurii nuts, right? Edit: although fair play if you already cleared it and trophies are your reason to run through again. Might be tempted to get this actually. Is it better than the zeebo version though? Every time I see a screenshot of this game I get flashbacks of happier times, for the series and for the industry. I just finished it again a few months back on PC and this review is all it takes to get me to drop beans on yet another version (I currently have 5). Stone cold masterpiece. Worth it to do the Krauser fight on another Sony console. This never enhanced the experience. Wii pointer rubbish when engrossed in a game predominantly played with an extension of yourself in the form of an ergonomically designed controller has never ever helped in any way. Motion controls are fine, lazer pointing controls are fine too. But keep them out of engrossing games they hinder immersion and pull you out of the experience. Got this on game cube never really played it imma get it out see what all the fuss is about. seen as my P.S.4 controller has got a mind of its own and totally unplayable..2 days before P.E.S 2017 aswell. @Bhattiboy 😅 Edit: btw if it's your first time playing make sure you are shooting the zombies in the knees to drop them, run up and uppercut and finish off with some knife action. I couldn't get into it on PS2 until a mate told me to deal with the enemies like that, makes a big difference, especially in the first area. 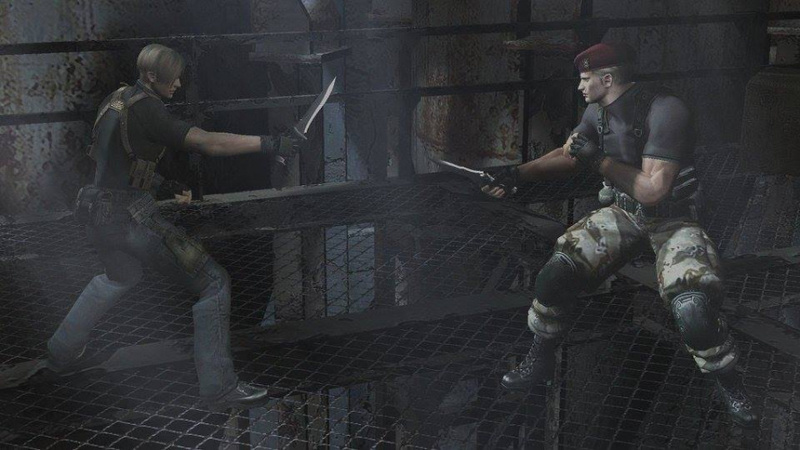 I was so used to the knife being useless after RE1-3 but it's super useful in 4. I never played it....................damn it, I need it!! 10/10 ... maybe at one time .... this was HD on PS3 ... i'm guessing not much has changed in the way it looks/plays. Wish they actually gave it the remastering it deserves, ie, new textures/models ect!!!! Really is a wasted opportunity!!! Wish I had a reason to purchase it again!! @themcnoisy the Wii version allowed for use of standard controls. I also believe the pointer on the Wii version is the best method for playing RE4 I can't honestly see how anyone could find it anymore immersion breaking than a mouse and keyboard tbh. As with the move version of RE5. Disappointed it aint in there this time. I'm hoping RE 3: Nemesis gets the same treatment. Still the best in my opinion. Played it on both GC and Wii. Tempted when this goes down in price but not before, because I still have my Wii and the Wii version. I thought the Wii controls made the game a lot lot easier as opposed to the GC so I don't think I will miss the motion controls. Annoyed there is no platinum trophy - this is still a 15 hour game with lots of extras and room for challenges. Makes it a little less interesting to replay. @kyleforrester87 Trophies are NEVER a good reason to buy a game! Great review for a true masterpiece anyhoo!